A great review for Kate Forsyth and Fiona McDonald’s lovely book, Two Selkie Stories from Scotland, has just appeared in Reading Time, the online review journal of the Children’s Book Council of Australia. Advance notice of the first lovely event celebrating Once Upon A Christmas! 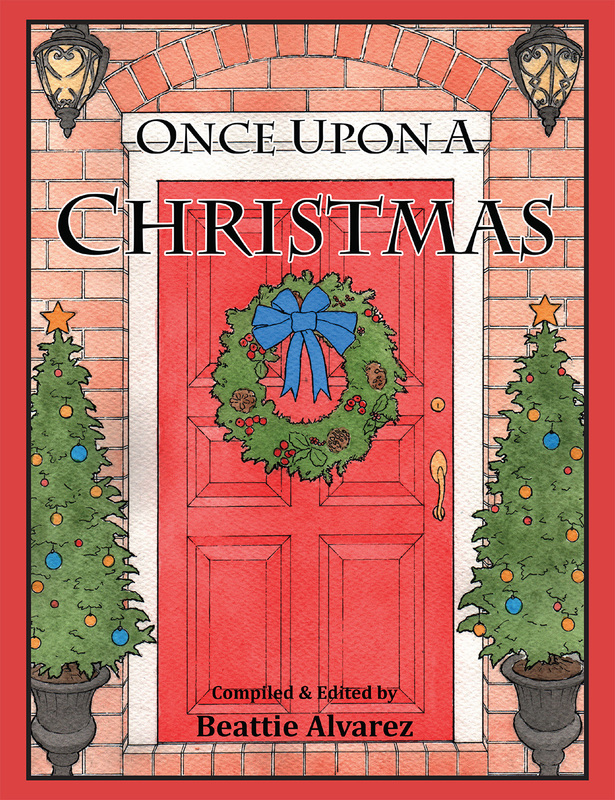 We have several lovely events planned for the upcoming release of Once Upon A Christmas. 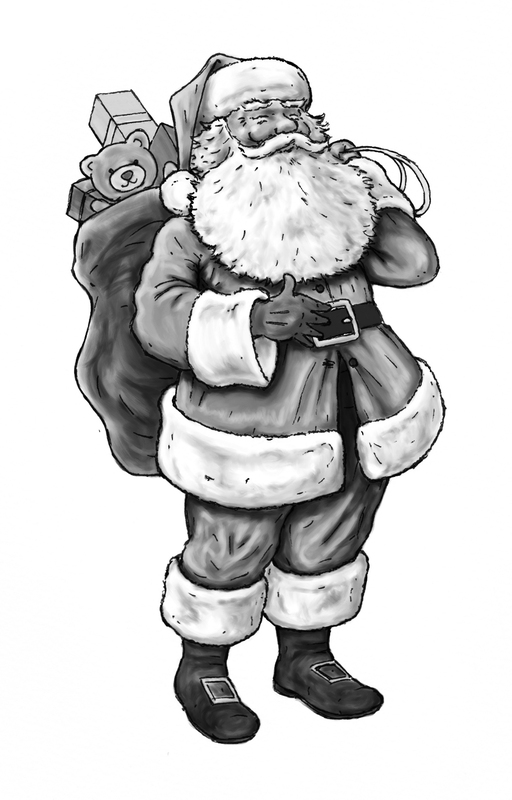 The first one, dubbed ‘Countdown to Christmas’ is on Friday November 14, at Balmain Library in Sydney, at 6pm. Lots of fun, games, readings and prizes! Everyone very welcome but bookings essential: 02 9367 9211. We are pleased to announce that the audio book edition of Two Selkie Stories from Scotland is now available. Order through your local bookshop, direct from us, or from our fabulous Bandcamp store. This enchanting audio edition of the Christmas Press picture book, Two Selkie Stories from Scotland, by Kate Forsyth and Fiona McDonald, features the full text of these two beautiful fairy tales, plus evocative original music. Published by Christmas Press, this audio book is produced by Sounds Like Books, who also created the audio book edition of earlier Christmas Press title Two Trickster Tales from Russia. Format: audio CD, printed in colour, with full-colour wrap around caddy slick with title information. Packaging: flexible disc caddy. First advance review of Once Upon A Christmas! We have our first advance review of Once Upon A Christmas, and it’s a great one! Review by well-known author Dianne Bates, in Buzz Words magazine. A fantastic start for our beautiful anthology. We are very happy to announce that the publication of Once Upon A Christmas will be supporting Room to Read by donating a percentage of proceeds from sales of the book. Room to Read is a global non-profit founded on the belief that World Change starts with Educated Children®, envisioning a world in which all children can pursue a quality education that enables them to reach their full potential and contribute to their community and the world. Room to Read focuses its efforts on developing reading skills in primary school-aged children because literacy is the foundation for all future learning. Since it was founded in 2000, Room to Read has impacted the lives of nearly nine million children by establishing school libraries, publishing original children’s books in more than 25 local languages, constructing child-friendly classrooms and supporting educators with training and resources to teach reading, writing and active listening. Christmas Press is proud to support the wonderful work of Room to Read. We are also proud to note that several of the contributors to this publication are also writer-ambassadors for Room to Read: Kate Forsyth, Libby Hathorn, Susanne Gervay, and Sophie Masson. Five-star review for Two Tales of Twins in Good Reading! And those wonderful reviews for our books keep coming! 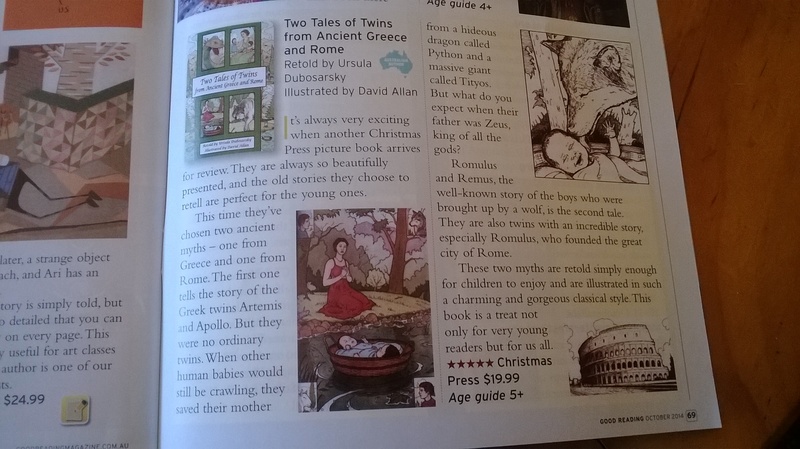 In the October issue of Good Reading Magazine, there’s a fantastic five-star review of Two Tales of Twins from Ancient Greece and Rome.